Imagine an email archiving solution that not only helps you keep a record of all emails sent and received but also allows you to leverage the information in an email to deliver insights into how the organization behaves and communicates. Just think how business risk could be reduced and email productivity better managed thanks to the information email provides you with. That would be great, wouldn’t it? Well, you can because GFI MailArchiver now ships with MailInsights, the first data mining tools in an email archiving solution. 1. Who are users spending the most time emailing? Are your users emailing customers, vendors, different offices, or people the next row over? We spend a lot of time on email, now you can determine just what we’re doing with it over time. 2. Who were the most important contacts for the last person who did that job? When you’re new to a role, the first few weeks can be quite unproductive. Users can spend weeks just trying to get a feel for the job, understanding who their peers are, who the go-to people are, and so on. Being able to provide them a report, detailing who their predecessor emailed most often, for example, can help them get up to speed quickly. 3. Which customers need a little more attention? Customer satisfaction can be strongly influenced by communications with sales and/or support. Customers who send/receive a higher volume of email might be those that need a manager’s involvement. 4. Which customers would make good referrals? The customers that your sales and support teams communicate with frequently can be some of your best referrals. Knowing who those are made asking for references easy. 5. Who’s talking to whom? Reorganizations, mergers, divestitures, and acquisitions can all be disruptive. Knowing where the communication channels exist helps to determine what is working and what isn’t. 6. How much email is sent to or received from personal services? The popular mail services like Hotmail, Gmail, Yahoo Mail, etc., are frequently the choice for personal email, not business services. Seeing how much mail goes to these services can help you determine whether an email is being used only sparingly for personal use, or if someone is spending too much time on communications that are not business related. 7. How long does it take users to respond to customer emails? Customers hate waiting. When a customer sends an email, how long does he/she have to wait before getting a response? Knowing the answer to that question helps you make sure you are meeting SLAs and can identify whether a customer satisfaction issue may be developing. 8. Is the helpdesk responding to user emails in a timely fashion? One reason everyone calls the help desk is because they don’t want to wait for a response to an email. Using MailInsights you can now see just how long a user has to wait before getting a response which can help with internal SLAs, metrics and staffing decisions. 9. How much storage space is taken up by attachments? Email is often the de facto file transfer system, both internally and with external parties. Email storage is a scarce resource, so knowing where all that disk space is going can help you justify expenditures, or develop policies to conserve that limited space. 10. Who are the mail hoarders? 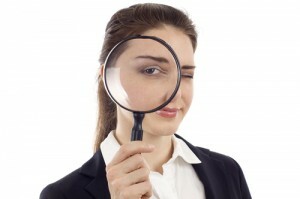 MailInsights makes it easy to determine who hoards email and has the largest email load..
11. Are all those attachments business-related? Docx, pdf, and pptx files are exchanged daily between businesses and with customers. Audio files, like mp3, typically are not on the list of files you’d expect to be sent and received on a daily basis. With MailInsights you see how much premium space is being consumed by files that don’t have a business purpose or should be transferred in another manner not via email. 12. What’s a good attachment size limit? This is a question many organizations will struggle with because they don’t have good metrics that show what users need or what users consume in terms of file size. MailInsights can tell you exactly what’s going on with attachment sizes – from the smallest to the largest file. 13. Are inactive accounts still receiving email? Inactive email accounts are often not deleted when an employee leaves the company and that inbox continues to receive emails. Important information or sales leads could be ‘lost’ unless someone is checking the account regularly. Being able to check whether inactive accounts are still getting email could help identify important opportunities or pending customer requests. 14. Are users maintaining a professional demeanor when using email? Every email your users send is a statement from your company. Checking emails for appropriate language helps maintain the company’s reputation. 15. Are users BCC-ing emails to personal accounts? Most companies have policies prohibiting the blanket forwarding of company email to personal accounts. Most don’t have a way to detect when this policy is violated. MailInsights can report on BCC activities and identify users who want to keep their own email archive beyond the company’s reach and control. 16. Is anyone emailing the competition? Emailing the competition may be harmless, or it could be the sign of an imminent defection, with corporate data as a kind of dowry. If you know that users are emailing the competition then you can start to investigate the issues before it becomes a more serious problem or data is lost or passed on to third parties.. Knowledge is powerful, and knowing what is going on within your email system helps ensure that your technology investment is being used wisely. 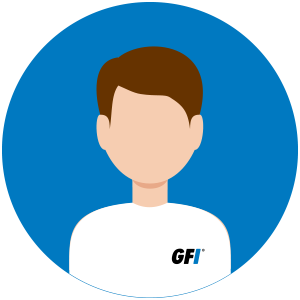 GFI MailArchiver’s MailInsights is the tool email admins need to understand just how the system is being used. Of the seven categories mentioned above, I have high regards on Responsiveness. In an email solution, I really want a fast communication platform – both in sending and receiving email messages. I handle and supervise more than 20 call center employees, that’s why I know first-hand what the client needs. Most of our customers easily get frustrated when we don’t respond to their emails within an hour. But with email solutions software, the response time is lesser than 15 minutes – at the most. You can do all kinds of time-studies on any one of these metrics, but to have a piece of software that can do it all for you on its own makes the decision-making aspect of administrating that much easier. Having this level of monitoring may make some employees uncomfortable, but they don’t have anything to worry about as long as they follow the necessary company guidelines. The data you get is very useful for every manager. Congratulations for creating this application – it will take us far beyond the ordinary use of email. This application will make employees more productive for sure.